Winter is coming, and with it, the prospect of chilly winds and rainy days. But while you might be tempted to abandon your bike in favour of your car, we’d like to point out a few good reasons why this isn’t the best idea. Driving your car in winter will always increase your commute times. Most people have the same idea: “If I drive to work, I can turn my car into a toasty little oven”. But what they don’t realise is that the roads will be chock full of toasty little ovens. Much more than the rest of the year, in fact, as even the smallest increase in traffic can lead to a huge increase in the level of congestion. It’s much better to just hop on your bike and get from cosy A to cosy B as efficiently as possible. This one’s a given. There’s nothing harder than finding a car park in winter. Everyone wants an indoor space to avoid stormy weather – and during rush hour, street parking is almost out of the question. That is unless you’re a rider. There’s nothing more satisfying than cutting your commute time in half just by finding a park quicker. And even if your hands do get chilly on the ride there, you can revel in the fact that you’ll be holding a warm coffee in record time. One of the worst things about winter is the amount of money it takes to stay comfy. Energy costs surge, hot water-use increases, and the bills start stacking up. However, switching from your car to a motorbike could help offset some of these financial burdens. 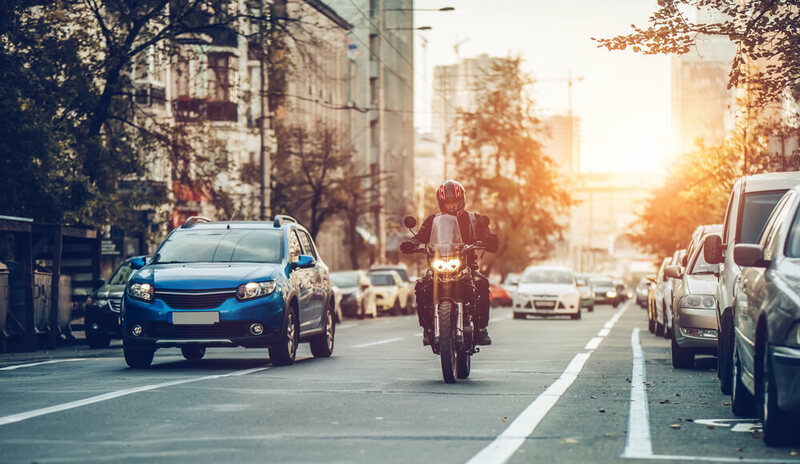 Not only will you be burning less fuel than a car – which will definitely have a positive impact on your bank balance – you’ll also get to save big on maintenance as motorcycles have a lot less moving parts – think two wheels versus four etc. You’ll have to run the numbers, but don’t be surprised if riding your bike turns out to be well and truly worth your while. It’s much easier to maintain your motorbike than your car in the winter. Aside from the obvious things, like only having to deal with two tires instead of one, there’s the fact that there’s a lot less metal that can be corroded by the elements! Also, for added extra protection from the winter storms, bikes are much more flexible. For example, a bike cover is a great investment for riders who don’t want to expose their pride and joy. And this cover isn’t necessarily a viable option for car owners (can you imagine?). Winter gives riders an entirely new reason to ride. Beyond the general time and cost savings, you can also take in a much-needed change of scene. After all, it’s on these winter rides that you get to see your town in a totally different light and start to appreciate it even more. You’ll even have the opportunity explore somewhere new. Instead of riding across sandy beaches or deserts, try riding up to the mountains for a winter break. There are lots of modifications you can make to ensure it’s safe and you’ll be giving yourself the chance to get away from it all.